1 Elaphococcus cervicornis Haeckel; remaining forked radial spines broken, VS-R-133b, 1-3cm, U18/1, 300x. 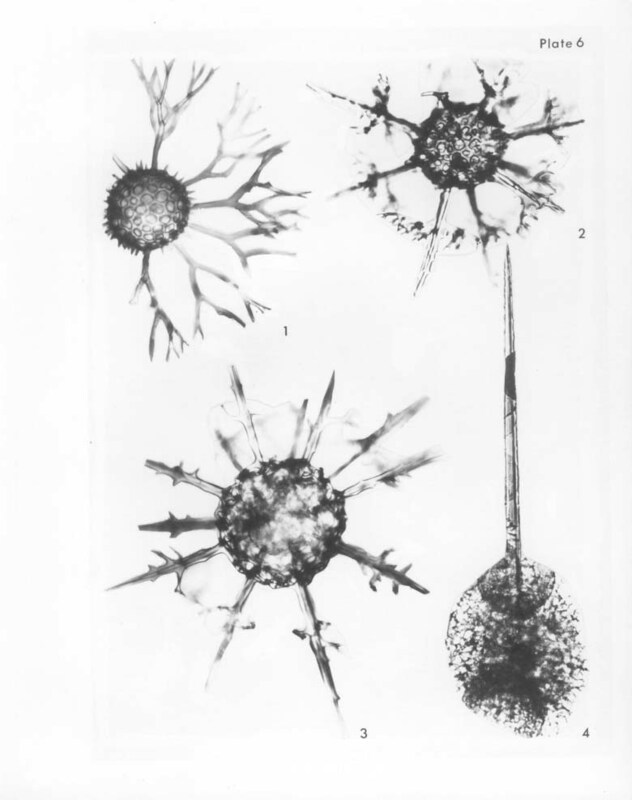 2-3 Cladococcus stalactites Haeckel; 2, VS-R-136a, 1-3cm, L6/3, 215x; 3, VS-R-136b, 1-3cm, E36/3, 300x. 4 Spongosphaera streptacantha Haeckel; specimen with one spine unbroken, VS-R-133b, 1-3cm, L51/4, 150x.